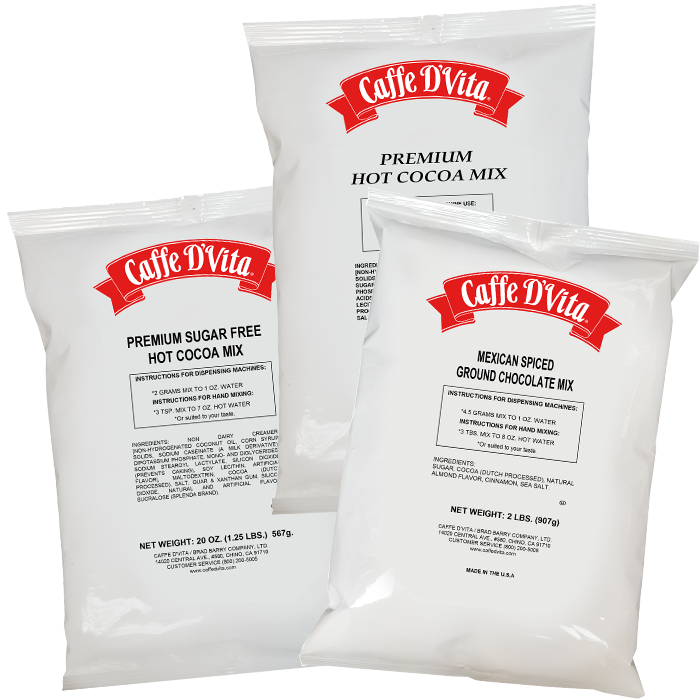 Regular and Sugar Free Premium Hot Cocoa for foodservice – packaged for easy storage and use in your dispensing machine, or can easily be mixed by hand. Mexican Spiced Cocoa — add a little spice to your life with this twist on regular hot cocoa. The infused spices add another level of depth that your customers will love!